Circa 1951-1959: The '50s Vintage Fiesta gray glaze is a master of disguise, shifting in the light going warm or going cool. It is the chameleon of Vintage Fiesta pottery colors. 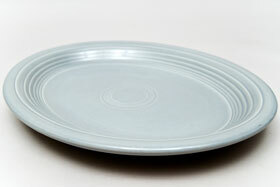 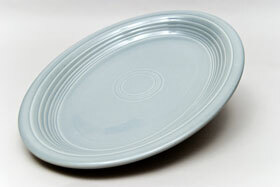 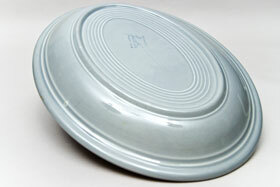 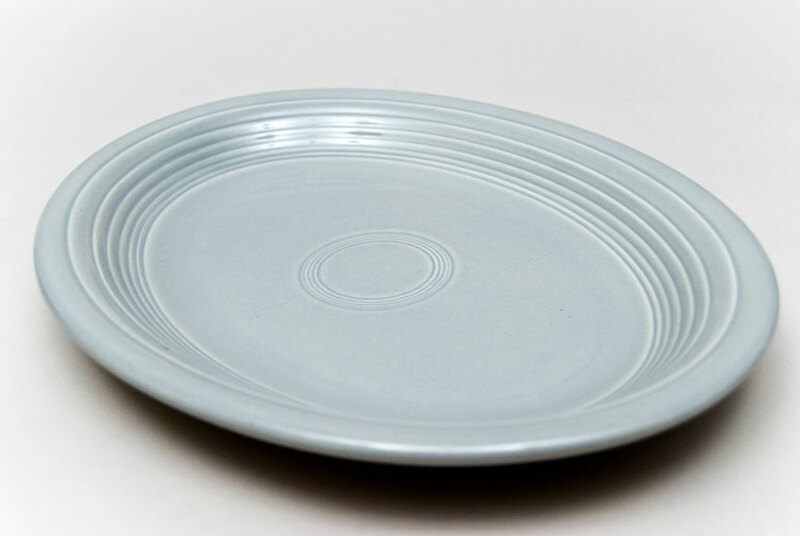 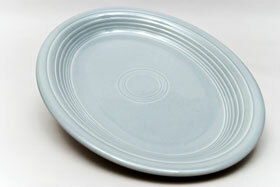 This Vintage Fiesta platter in the original '50s gray glaze is in excellent condition. 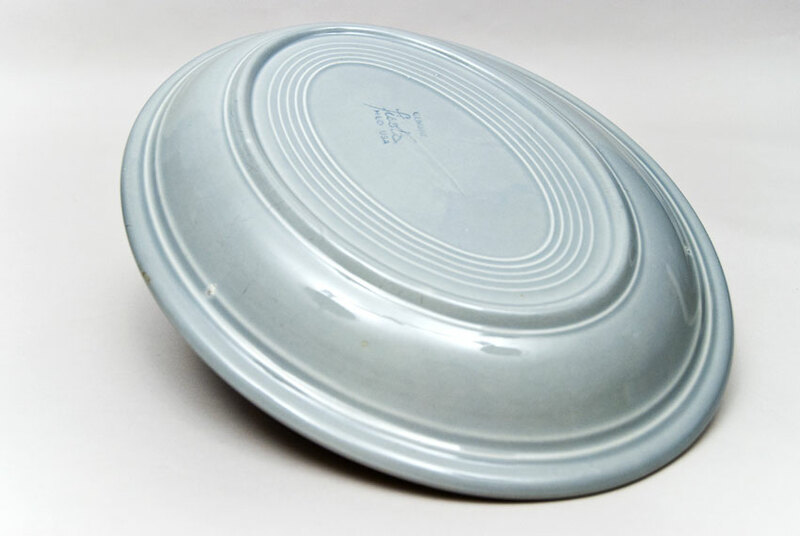 Without chips or cracks or repairs and little to no sign of use - this is what you're looking for when you want to use or display the original '50s glazes in your collection. 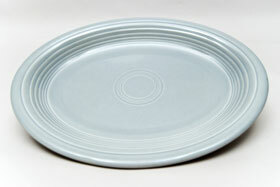 Marked on the back "GENUINE fiesta HLCo USA". Measures 12 1/2" x 9 7/8"